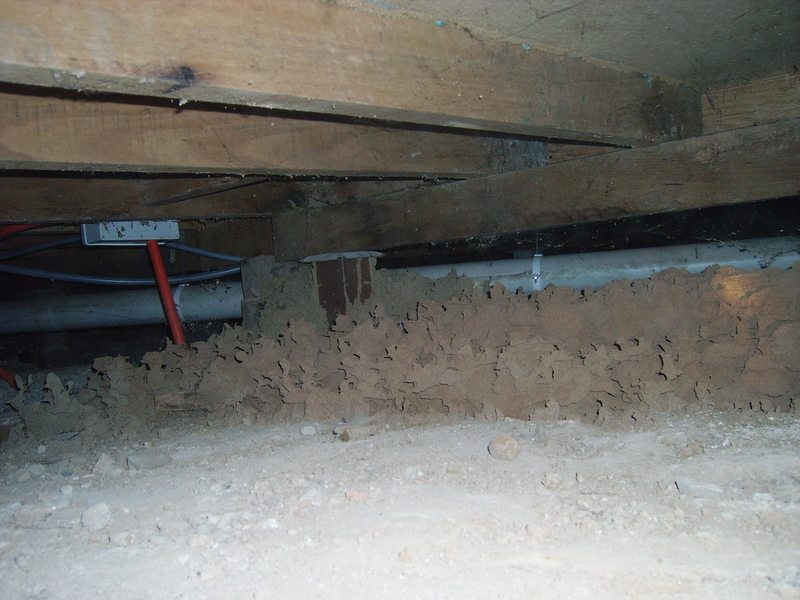 A photo we received from a customer in Benalla Victoria, of a Copto sub colony under the house. Amazing how such tiny insects can create all this mud without us realising! 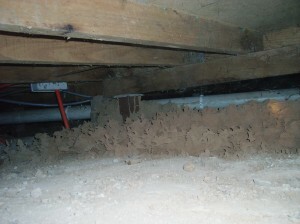 The nest is about 2.5 metres long and is built up over the ant caps and up to the joists.